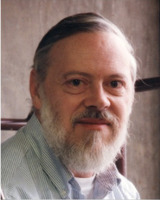 Dennis Ritchie 9 September 1941 12 October 2011 American Alistair E. Ritchie Jean McGee Ritchie Computer Scientist Computer Scientist and inventor of C programming language and with long-time colleague Ken Thompson, the Unix operating system. He Received the Turning Award from the ACM in 1983, the Hamming Medal from the IEEE in 1990 and the National Medal of Technology from President Clinton in 1999. A list of popular Hindi Dennis Ritchie quotes are given below.